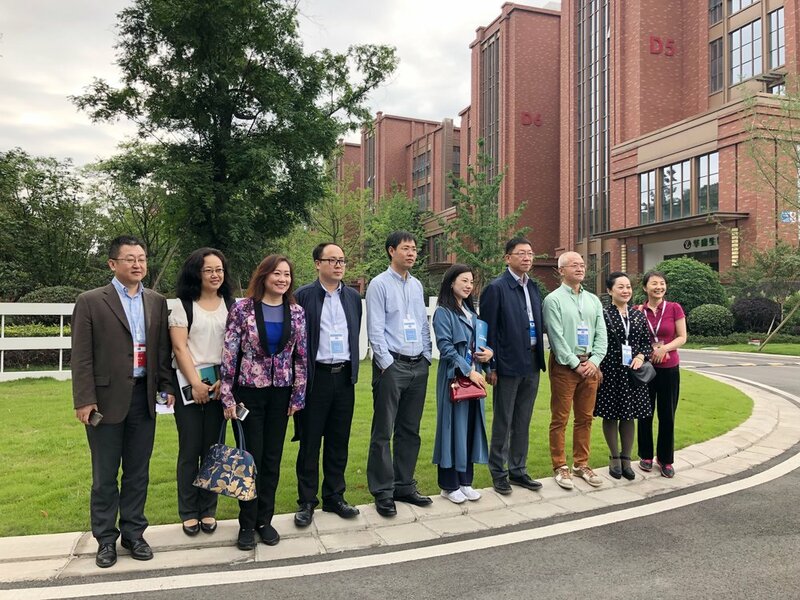 The First “Digital Economy and Artificial Intelligence International Forum” held in Chengdu, May 11th - 13th, 2018, jointly hosted by the Western Returned Scholars Association (WRSA) and the Chengdu Municipal Government. Dr. Jingjing Xu, the co-founder of the Western Medical Committee which is the first professional branch of the WRSA, was invited. The theme of the Forum is “Leading the New Economic Development in the Era of Innovation-driven: the global practice of the digital economy and the rapid advancement of the artificial intelligence industry, linking the Chinese practice to the world”. It discussed the new economy and probed into the current situation and future trend of digital economy and artificial intelligence. The forum invited the leading experts and prominent returnees to present their experience and insights in Smart Manufacturing, Smart Financing, Smart Medicine, and Smart Education.